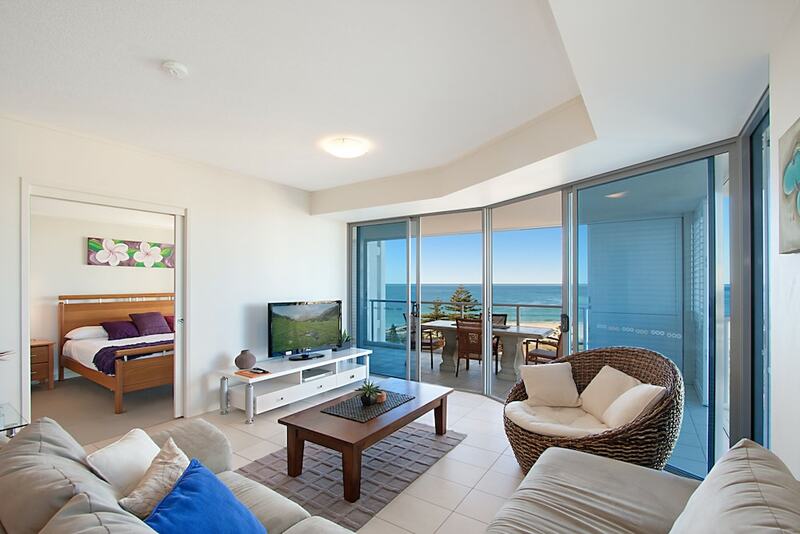 When you stay at Blue C Coolangatta in Coolangatta, you'll be on the waterfront, just steps from Coolangatta Beach and 3 minutes by foot from Kirra Beach. This 4.5-star apartment is 0.2 mi (0.3 km) from The Strand and 1 mi (1.6 km) from Point Danger. Make yourself at home in one of the 41 individually decorated guestrooms, featuring kitchens with full-sized refrigerators/freezers and ovens. Rooms have private lanais. Flat-screen televisions with cable programming provide entertainment, while complimentary wireless Internet access keeps you connected. Conveniences include microwaves and coffee/tea makers, and you can also request rollaway/extra beds (surcharge). Be sure to enjoy recreational amenities, including an outdoor pool, a spa tub, and a sauna. This apartment also features complimentary wireless Internet access, tour/ticket assistance, and barbecue grills. In addition to an outdoor pool, Blue C Coolangatta provides a spa tub, a sauna, and a fitness center. Wireless Internet access is complimentary. This luxury apartment also offers tour/ticket assistance, barbecue grills, and a garden. Complimentary self parking is available on site. Blue C Coolangatta is a smoke-free property. This property's policy is to refuse certain bookings for the purpose of group events or parties, including pre-wedding stag/bachelor and hen/bachelorette parties. Only registered guests are allowed in the guestrooms. Some facilities may have restricted access. Guests can contact the property for details using the contact information on the booking confirmation. Parking height restrictions apply.